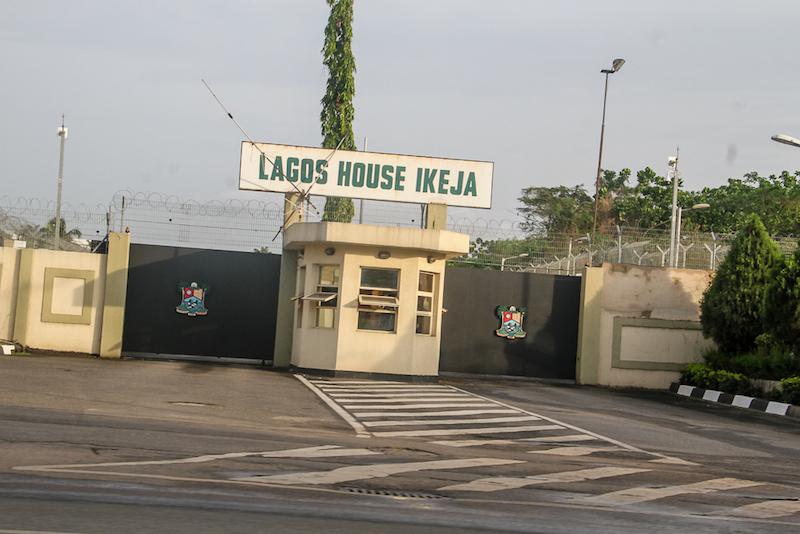 Ordinarily, it should have been safe to conclude that the race for the Government House at Alausa, Lagos is between Mr. Jide Sanwo-Olu and others, with the odds favoring the All Progressives Congress (APC) candidate. Unfortunately, one cannot come to this conclusion because for the first time in 20 years, there is formidable opposition to the continued political dominance of Lagos by the national leader of the APC, Asiwaju Bola Tinubu. The offensive against Tinubu is from both within the APC fold and outside. Tinubu himself must have been surprised that some APC members dared to hold a parallel congress in Lagos and have since refused to be reconciled, while establishing a separate executive. Clearly, the fight for office of Chief Executive of Lagos State is about Tinubu. Will the opposition, including those in his own party succeed in dismantling his towering presence? Or will the Jagaban’s image continue to loom large! Yet the odds favours Sanwo-Olu but there are many hurdles that he must scale to get to the Government House. One of his biggest obstacle may be the incumbent, Mr. Akinwunmi Ambode who was denied a second chance and the surprising run of the main opposition party, the Peoples Democratic Party (PDP). Though many think the party’s candidate, Mr. Jimi Agbaje had his brightest opportunity in the 2015 election when he was also the PDP governorship candidate for Lagos State. This time, Agbaje is campaigning on the premise that Lagos has been under the control of one man for too long. Therefore, his battlecry is ‘ freedom’. Many expect the race to be a game changer because whosoever emerges as the governor of the fifth largest economy in Africa will be inheriting a fractious political system. The man will also have the Herculean task of convincing Lagosians that he will be ‘an action’ governor like his predecessors, except Ambode. Although the field is strewn with 47 candidates, only two have any chance of clinching the crown. There are two others on the sides, any of whom can benefit in the event that the front contenders become engulfed in a self-destructing crisis, as has happened in the past. 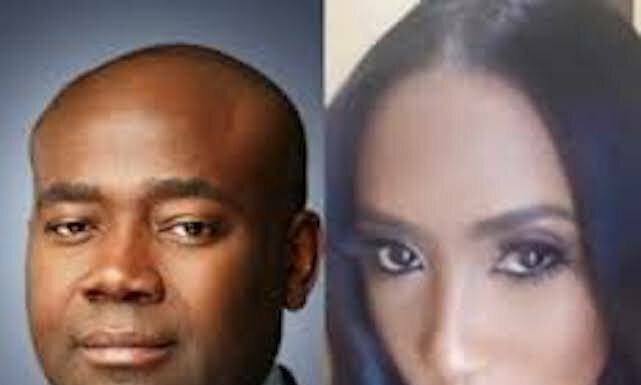 The front runners are Sanwo-Olu and Agbaje of the APC and PDP respectively while the two on the side are Chief Owolabi Salis of the Alliance for Democracy (AD) and Mr. Babatunde Gbadamosi of the Action Democratic Party (ADP). Babajide Olusola Sanwo-Olu (born June 25, 1965) won the gubernatorial primaries of the APC against incumbent governor, Akinwunmi Ambode of Lagos State in October 2018. He is a graduate of the University of Lagos, as well as the London Business School, Lagos Business School and the John F. Kennedy School of Government. Prior to his gubernatorial ambition, he was the Managing Director/CEO of Lagos State Property Development Commission (LSPDC). Sanwo-Olu has a BSc in Surveying and an MBA from the University of Lagos. He is an associate member of the Chartered Institute of Personnel Management (CIPM) and Fellow of the Nigeria Institute of Training and Development (NITAD). He was the treasurer at former Lead Merchant Bank from 1994 to 1997 after which he moved to the United Bank for Africa as the head of foreign money market. He then proceeded to First Inland Bank, Plc (now First City Monument Bank) as a deputy general manager and divisional head. He was the chairman of Baywatch Group Limited and First Class Group Limited. He is a board member of the Department for International Development (DFID/DEEPEN) Fund and Audit Committee of Caverton Offshore Services Group, Plc. Sanwo-Olu began his political career in 2003, when he was appointed a Special Adviser on Corporate Matters to the then deputy governor of Lagos State, Femi Pedro. He was later made the acting Commissioner for Economic Planning and Budget until 2007, when he was made the Commissioner for Commerce and Industry by then Governor, Bola Tinubu. 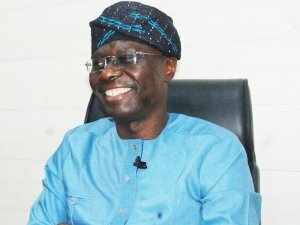 After the General Elections of 2007, Babajide Olusola Sanwo-Olu was appointed Commissioner for Establishments, Training and Pensions by Governor Babatunde Fashola. Governor Akimwummi Ambode appointed him the made Managing Director/CEO of the Lagos State Development and Property Corporation (LSDPC) in 2016. Sanwoolu has the support of the APC national leader, Tinubu. Ordinarily, this is all the support he requires to be the governor of Lagos. Like Governors Raji Fashola and Ambode before him, he is largely. But once presented to the party leaders by Tinubu, he was accepted as their own. Overtime, Tinubu has shown that he has an uncanny ability to see the talent in others. Although he emerged from a fractious primaries, he has since got the support of the party leaders who worked against the reemergence of Ambode. In the political landscape of Lagos, Sanwo-Olu was the last on the list of possible candidates for the governor of Lagos state, he was not only unknown, he never had any ambition to contest for the position. Since his emergence, he has had many opposition, prominent being the incumbent governor, Ambode who is one of the many aggrieved party members. Others include Mr. Fouad Oki, the former director general of all governorship campaign organisations in the state. These persons and their supporters are expected to work against his candidature. But Ambode has since demonstrated at different fora that he will stick with the decision of the party and take his loss in good faith. Olujimi Kolawole Agbaje was born March 2, 1957. He is a Pharmacist and was the 2015 PDP’s Lagos State Governorship candidate. He lost to Governor Akinwunmi Ambode. In 1982, Jimi Agbaje founded his own company, Jaykay Pharmaceutical and Chemical Company Limited and was Managing Director until 2005 when he decided to venture into politics. A consummate professional, he was a member of the Pharmacists Council of Nigeria (1999 – 2006); National Secretary of the Nigerian Association of General Practice Pharmacists (NAGPP) from 1987 – 1990; National Chairman NAGPP (1990 – 1993) and Chairman Pharmaceutical society of Nigeria Lagos State (1994 – 1997). Jimi Agbaje also sits on the Board of other organizations including Oakwood Park Ltd, Atlantic Hall Secondary School Epe, Jimi Agbaje Outreach (a project dedicated to helping the less fortunate) and has served as business mentor at Fate Foundation. Based on his affiliation with Afenifere, Jimi Agbaje joined the Action Congress (AC) – his first political party. 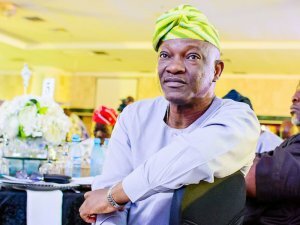 In 2007, Agbaje who had initially aspired to contest for the Governor of Lagos State on the platform of the Action Congress (AC) left the party to join the Democratic People’s Alliance (DPA). He was among the 11 aspirants that turned their back on the Action Congress (AC) when it was alleged that Governor Bola Tinubu had already anointed someone else to succeed him even before the party primaries. Widely believed to have conducted the best campaign in 2007, Agbaje contested in the gubernatorial election on the Democratic People’s Alliance (DPA) platform, but eventually, alongside other major contenders – Musiliu Obanikoro of PDP, Femi Pedro of Labour Party (Nigeria) – lost to Babatunde Raji Fashola of the Action Congress (AC). 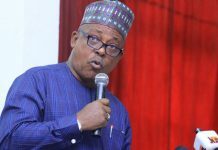 He left DPA in 2011 and went on to join the ruling party, the PDP following the de-registration of DPA by the Independent National Electoral Commission (INEC). On October 29, 2014, he officially indicated his interest in giving the Lagos State gubernatorial elections another shot by picking up the PDP nomination form. 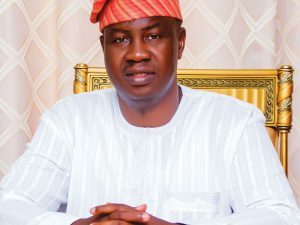 On 8 December 2014, he emerged as the candidate of the PDP for the 2015 Lagos State gubernatorial election, having defeated Musiliu Obanikoro in the primary. As it was in 2014/15, so it is in 2019. Like 2015, he is posing a strong and formidable opposition to the APC in Lagos state. Agbaje has warmed his way to the hearts of the non-Yoruba speaking residents of Lagos, especially the Igbo who constitute about 30 percent of the voting population in the state. To the APC, Agbaje remains the only obstacle to its continued stranglehold on the state. Unlike 2015, Agbaje does not have the support of the party at the centre, a situation which has made it more difficult for him to carry along the political leadership in the state. Without the full support of many PDP leaders in the state like Chief Bode George, Senator Adeseye Ogunlewe and others, he has been going it all alone. Salis who holds a B.Sc in Accounting from the Ahmadu Bello University, M.Sc Accounting from the University of Lagos, Nigeria; LL.B from the University of Lagos. 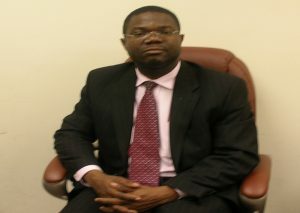 He is a Barrister at Law (B.L) and a New York City based attorney. The Alliance for Democracy governorship candidate in Lagos State also parades numerous professional qualifications such as FCA, Institute of Chartered Accountants of Nigeria (ICAN); ACIB, Chartered Institute of Bankers of Nigeria, CIBN (Fellow graded); ANIPR, Associate, Nigerian Institute of Public Relations (CPA); American Institute of Certified Public Accountant (AICPA), New York State Bar 2002 USA and National Association of Security Dealers (NASD) now FINRA. 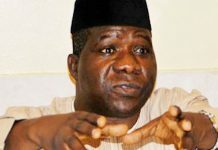 He is a member, American Branch of International Law Association, ILA; Member, New York State and New York County Bar Associations; Member, United States Chamber of Commerce; Member, American Civil Liberties Union (ACLU); Member, Amnesty International; and Member, Nigerian American Chamber of Commerce. Salis has had over 30 years of practice in both Law and Accounting fields. Salis is an old warhorse. He has always contested the governorship in the state with the doggedness of a fighter even when he knows that his chances of winning were slim. A philanthropist, Salis has had the support of the party which has continued to field him each time as its candidate. The AD is more or less a dead party in Lagos. Although the first governor of the state in 1999, Tinubu emerged from the party, but the party died naturally when he moved out to form the Action Congress in 2003. But members like Salis have refused to abandon the party. Because what is happening in the party remains a one-man show, Salis is the chairman, leader and sole financier of the party. He dictates the direction the party will go. Salis has less than five percent chance of winning the governorship. Real Estate Developer and Lagos Governorship Candidate of the Action Democratic Party (ADP), Babatunde Gbadamosi, is a man who has twice contested for the governorship of the state. Although little is known about him, he is reputed to be very honest and truthful. At the Lagos governorship debate among the leading candidates, he was the revelation, constantly applauded by audience members for the brilliance with which he espoused his policies for Lagos. He gave the factual analysis of events in the state. As an unknown personality, Gbadamosi could be the surprise in the park. His fact-based manifesto was adjudged the best among all candidates jostling for the position. 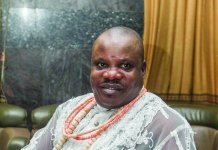 Like his strength, Gbadamosi’s weakness is that he is largely unknown. He belongs to a new party that is not known to the people; and one that has not been able to fly. He has less than one percent chance of winning the governorship, yet he remains the number three favourite to win the race. As the battle for Lagos races to its crescendo, the margin of victory in an election can sometimes be measured in inches. Therefore, of the leading contenders do not manage their weaknesses well, there is a small window of opportunity for an upset in the election for the governorship of Lagos state.